S.T.A.R.T. is an acronym for Simple Triage And Rapid Treatment, and is defined as being a method that first responders use to effectively and efficiently evaluate all of the victims during a mass casualty incident (MCI). Our S.T.A.R.T. 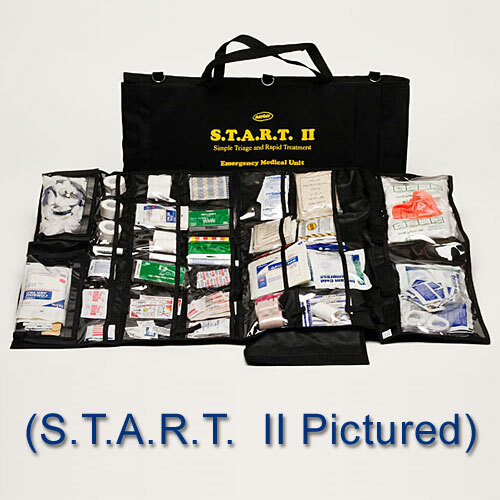 Emergency Medical Kits are designed to facilitate this process.